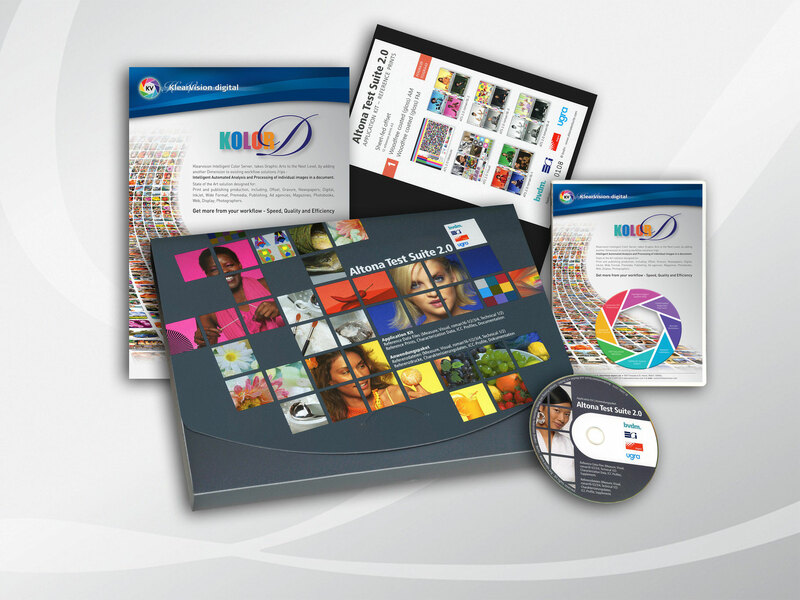 The ideal combination, optimized Colorserver KOLOR-D image data with inclusion/integration of the latest ISO standards for all common printing standards. Our clients can verify the new application package ATS Suite 2.0 data- and process control in the international standard ISO 12647. In our continuous software development for intelligent image data solutions such as the image data optimization, but also with our Colorserver PDF workflows including InkContol/InkSave module, for many years now, KlearVision focussed on the Altona Test Suite package.